If you like to keep live plants in your aquarium, you are familiar with the process of photosynthesis or at least know the basics of it. The process of photosynthesis is a part of the life of the plants when they use light, water, and CO2 to convert the light energy into chemical energy and store it in carbohydrate molecules. One of the most important things is the oxygen released along the process. The same applies to water plants, except that instead of using the CO2 from the air as land plants do, water plants use the CO2 from the water. Also, the aquarium plants usually use the aquarium light, not the sun, because the fish tank should not be exposed to direct sunlight to prevent algae outbreak. That’s why you need a proper aquarium light for your tank. Therefore, your fish tank should have enough CO2 for your plants, but not too much since high levels of CO2 is toxic to your fish and leads to death. For CO2 regulation, a CO2 regulator along with a CO2 diffuser and cylinder is needed. If you plan to increase the amount of CO2 in your fish tank, familiarize yourself with the subject because CO2 can be dangerous and must be used accordingly. Aquarium plants are a very important part of the underwater habitat, though if you intend to keep a lot of plants in your fish tank, you need more CO2 than just the amount the fish exhale. Plants raise the amount of oxygen in the water and they consume nutrient waste, thus helping reduce the ammonia released when organic waste decomposes. Additionally, plants provide more oxygen for the beneficial bacteria that converts ammonia to nitrite and then nitrate, so the beneficial bacteria will do its part of the eco system. Fish are happier, safer, and less prone to stress when there are multiple plants present in your fish tank. It also brings out the colors in some colorful freshwater fishes. The aquarium plants are also important for breeding many sorts of freshwater aquarium fish considering some fish prefer specific types of plants to lay their eggs. Many aquarium fish breeders use plants to protect the fry, or the eggs of the fish, from being eaten by the parents. 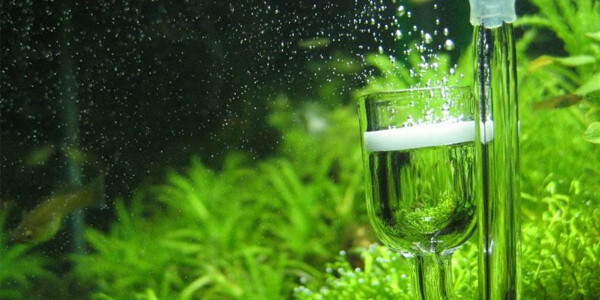 Aquascaping is derived from landscape, except aquascaping is done underwater. If you have your own underwater garden you would certainly need a higher amount of carbon dioxide. For some water plants, the amount of CO2 fish exhale is enough, but there are types of plants that need higher levels of CO2. 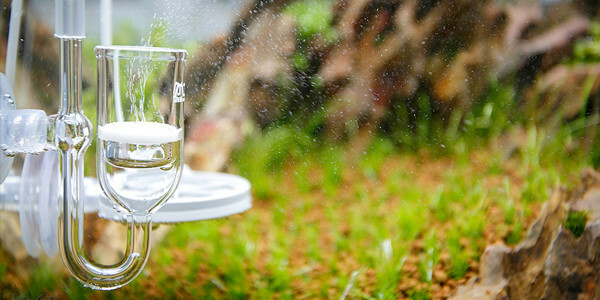 The use of a CO2 regulator to increase the level of carbon dioxide, your plants will grow faster and stronger. A common fact is carbon makes up 40% to 50% of a plant, which shows how much CO2 is important for them. Water plants use carbon through various means, but mainly from CO2. Thus, all aquarium plants will benefit from adding CO2 to the fish tank. Why you don’t need to add CO2? There are aquarists though that argue you don’t need adding CO2 into the fish tanks, and they simply do not add it. There are arguments that the gravel consists of dirt or sand, which are enough for your plants, and CO2 can kill your fish. However, there are factors that need to be considered such as the pH and the KH levels in your aquarium water. Many of the aquarium hobbyists that say adding CO2 is not required usually have soft acidic water. When the carbon dioxide is dissolved into the water it turns into carbonic acid that holds the pH level in the fish tank from rising. A very high pH level can lead to fish susceptibility, diseases, and algae. Why you need to add CO2? There are other aquascape hobbyists that state adding CO2 in the fish tank is essential for aquascaping. Most of the aquarium hobbyists that keep live plants add CO2 to their tanks, but it’s always important to monitor the pH and KH values of the water to determine how much CO2 you need. Also, there are commercial tests and charts that would show you the right way to regulate the amount of CO2 in your fish tank. Having said all that, I believe that CO2 is an important aspect of keeping aquarium and it is something you need to do more research on. There will be ongoing arguments about whether you need to add or not. My personal opinion is it all depend on the type of plants that you like to keep. Some low maintenance aquarium plants does not require additional CO2. At the end of the day, you decide with trial and error plus research of course. Very good article and it very useful for the beginner like us. Thank you so much.